Brilliant service battery sent very quickly. It appears to be of good quality. However having been left fitted on the bike it was completely flat within 1 week of being sat in the garage unused. This might have been my own fault as I didn't reset the bike security once fitted which may have put a drain on the battery. I will need to keep an eye on it over the next few weeks. Excellent service from Tayna as usual. A well sorted website makes ordering easy and delivery has always been next day. Correct battery, ready to use, and at a good price. Great. Sealed so no messing with acid, or even charging. Product as advertised, delivery in less than 24 hours. Very impressive. 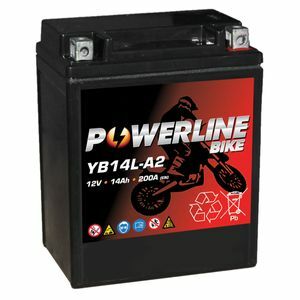 seems to be a reasonable battery but I am a bit concerned it drops to 9 volts when cranking over.